Our facilities & security associates work to provide a safe, secure and comfortable work environment that protects associates and physical assets for the company. With our Facilities & Security career opportunities, you’ll play a key role in managing and maintaining buildings and grounds within our nationwide facility network. We deliver epic customer service by ensuring customer alignment at all levels that provides solutions consistent with our customers’ expectations and Enterprise core values. The Security Services Technician's main role is to provide security via remote control gate access for high-value secure locations from our corporate headquarters in Green Bay, Wis. As a member of the security services team, you are accountable for inventory of equipment, viewing for damage as drivers enter the location, surveillance at all high-value secure locations and responding to emergency situations. You will also answer and direct calls from customers, drivers and associates coming into the company call center. Mail Print Services Technicians are accountable for printing, copying, mailing, shipping and receiving activities for all Schneider business sectors as well as in-kind services for the Schneider Foundation. 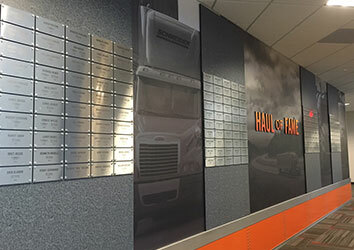 In addition, you are responsible for maintaining equipment and assisting customers with questions related to multi-function print units and record retention. Lastly, you will be ensuring all documents and products are produced in accordance with Schneider brand standards and create a positive image for the enterprise. As a Procurement Coordinator, you assist in providing support for the Corporate Procurement Team. In this role, you will specifically assist the Procurement Team, as well as provide support for other designated leaders within Facilities. You ensure procurement compliance and conduct audits. Interior Designers artistically create ergonomic-friendly, innovative, functional and collaborative Schneider office and driver facilities. This includes identifying and purchasing all furniture, flooring, wall coverings and finishes. Strong project management experience will get you far in this role! You may also work on large-scale projects involving new building projects, building expansions and building upgrades and will sometimes serve as the Project Manager for new office start-ups. As a Procurement Manager, you will develop strong internal and external relationships between Schneider and its key product and service providers. Using stellar negotiation skills, you will manage the entire purchasing process for products and services that are of critical importance to the company's operations. You will create and develop professional and legal contracts. Lastly, using your strong analytical skills, you will be responsible for identifying, evaluating and implementing cost-saving initiatives. The Facilities Maintenance Coordinator's role provides hands-on repairs and maintenance to facilities and related equipment. In this role, you oversee the maintenance of assigned sites to include prioritizing and scheduling maintenance tasks and repairs of their own as well as for outside vendors. You will provide outstanding customer service by meeting regularly with customers to ensure alignment and providing updates on a consistent basis. 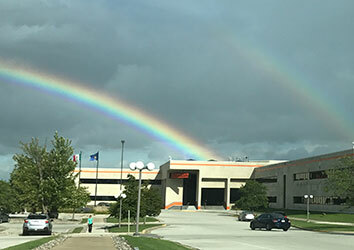 Come work at Schneider and you will find a pot of gold! 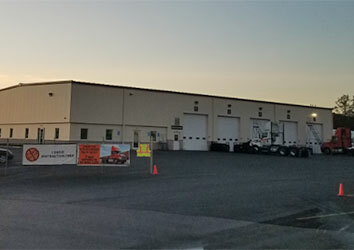 One of our newer facilities in Massachusetts! 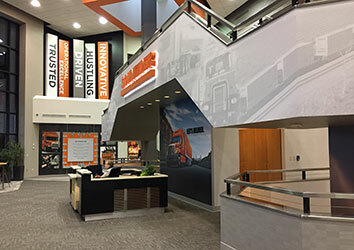 Did you know that in 2016, we remodeled our corporate office? 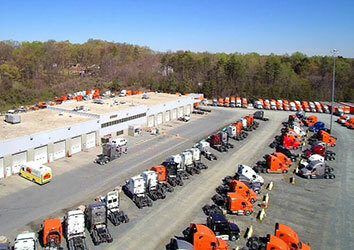 Facilities doesn’t just mean office buildings, take a look at our Charlotte shop as well! We honored our founder, Al Schneider, by turning an office at our original corporate office, now the Ridge Business Center, into the Al Schneider Conference Room. Learn more about it here.